Gulf Shores & Orange Beach Alabama are popular vacation destination on Alabama's beautiful Gulf Coast - coastal life includes a variety of outdoor activities such as, dolphin cruises, scuba-diving, championship golf courses, kayaking, deep-sea fishing charters and nature hikes. Choose from national hotel/motel chains, camping or a variety of beach vacation homes for. There are numerous options for nightlife and family entertainment from theme-parks to sailing excursions, enjoy your pick of plays, free concerts, dancing or just listening to a variety of music. Details: Stay in the finest one-bedroom suite in Gulf Shores. All hotel rooms overlook the Gulf of Mexico with full-size kitchen, separate living room and child-size bunk beds. Located next to The Hangout. Details: Searching for more fun with more savings? Stay with us at one of our incredible beach side hotels and enjoy rooms that boast the luxury of a condo. We offer one-bedroom suites sleeping up to six people in Gulf Shores. All hotel rooms overlook the Gulf of Mexico with full-size kitchen, separate living room and child- size bunk beds. Handicap rooms are available. Located next to The Hangout. Description: Perdido Beach Resort is a luxury, full-service Mediterranean style resort hotel situated on one mile of private sugar-white beaches along the Alabama Gulf Coast featuring luxurious guestrooms, restaurants,indoor/outdoor pool and more. Description: The hotel is located on the beach, every room is beachfront. Take a break from it all and re-charge with the play time that can only come when you vacation with us at The Island House Hotel. Details: Scheduled to open January 2016, the beautiful Hampton Inn is located directly on Gulf Shores Parkway, only minutes from the public beaches and area attractions. Enjoy a stay with our famous clean fresh Hampton bed. Details: Located 1.2 miles from the Gulf Shores public beach, we offer WiFi, an outdoor pool, hot tub, fitness center, business center, microwave, refrigerator and parking. Complimentary breakfast is included! Description: Amenities include an indoor/outdoor pool and hot tub, seasonal tiki bar, breakfast cafe, free WiFi and 24-hour fitness and business centers. The Hilton Garden Inn is located directly on the beach in Orange Beach. Description: Located directly on the beach in Orange Beach, Holiday Inn Express has much to offer. Amenities include outdoor heated pools, hot tub, free hot breakfast, free WiFi and 24-hour fitness and business centers. Gulf Shores and Orange Beach are situated along the Gulf of Mexico, the area has subtropical weather and is the southernmost community on Alabama's Gulf Coast, with Perdido Key Florida bordering it to the east, and Fort Morgan/Mobile Bay is to the west. 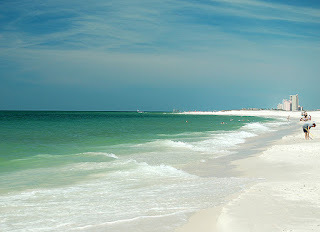 Gulf Shores has an array of outdoor activities, restaurants and accommodation options for visitors; lodging include beachfront Gulf Shores vacation rentals and Orange Beach vacation rentals to popular hotels like the Phoenix All Suites Hotel, Perdido Beach Resort, the Courtyard by Marriott at Craft Farms and The Island House, making the area a popular family vacation destination.